I love those hoodies...I will have to see if there is a Bears one available. Thanks for the info those are great deals, I will be heading over there today to get some gifts. Cute hoodies! I want one! Thanks for sharing the info...my Father and FIL are big football fans. 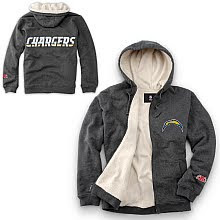 My Hub will not wear anything from the NFL store though..LOL. it's so hard to shop for my dad. btw, forgot to mention i have a watch giveaway, just perfect for x-mas. The hoodies are great. My family are into sports too so maybe I should consider some NFL gear for christmas! My MIL is totally Raiders obsessed. Fab idea!